No matter how much you like your email app, there’s probably something you’d change about it. A new client named N1 wants to bring you the changes you want — or let you design them yourself. N1 also works with most major email providers including Gmail, Yahoo, iCloud and Exchange. It runs on Mac, Windows or Linux, too. There are also a variety of plugins that have already been created for N1, if you need inspiration (or would rather be a user instead of a hacker). 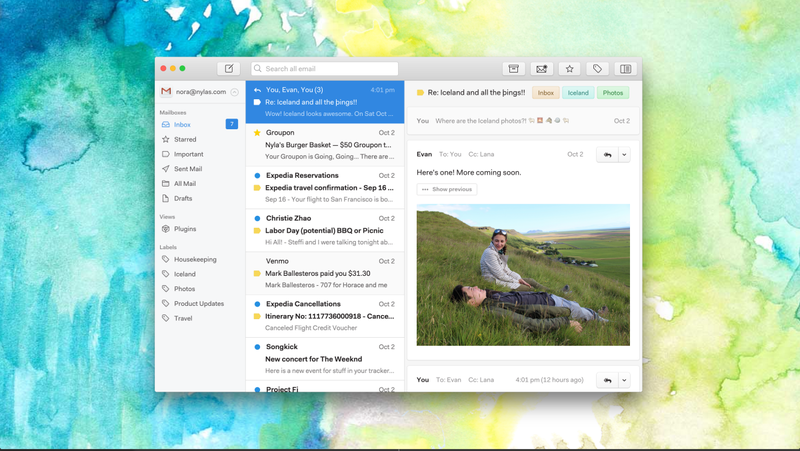 N1 looks solid enough to be an email client you’d be happy using as-is, but plugins could make it a powerhouse. Extensions play a big role in Chrome’s popularity, and it could have the same effect with email. N1 is available as a free download.